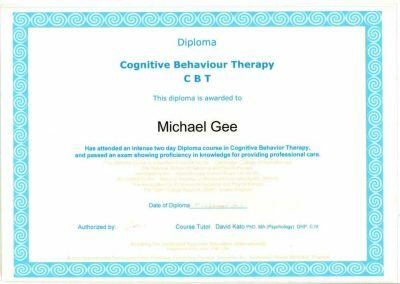 It’s important when choosing a therapist, whether it’s for loosing weight, giving up smoking or any other condition, to make sure they have the appropriate training and qualifications. 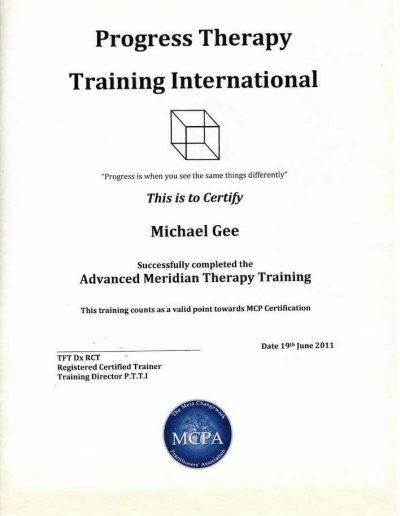 Michael has trained with some of the great teachers in the field and the following is a detailed list of his qualifications and experience. 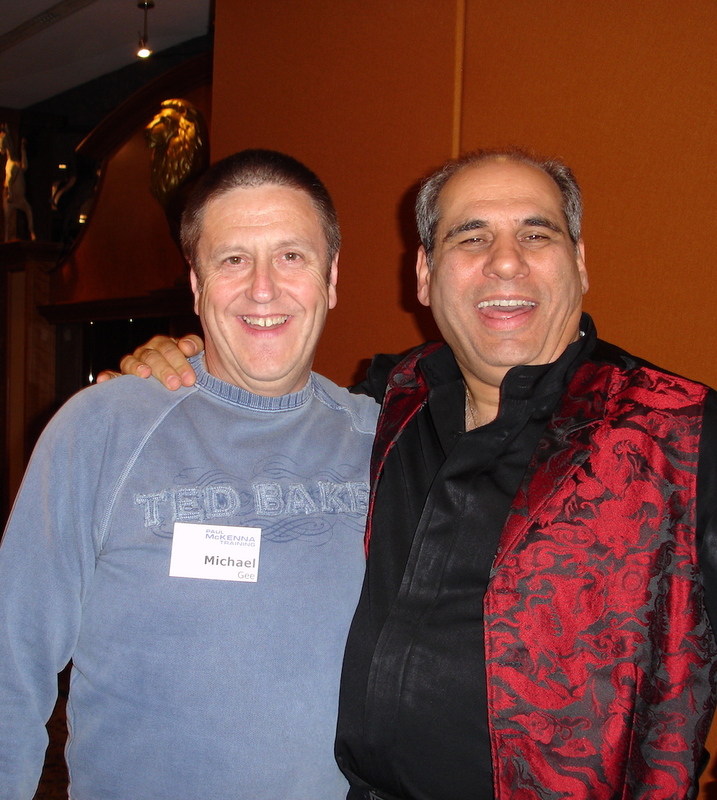 I attended Paul McKenna’s weight loss seminar January 2005. 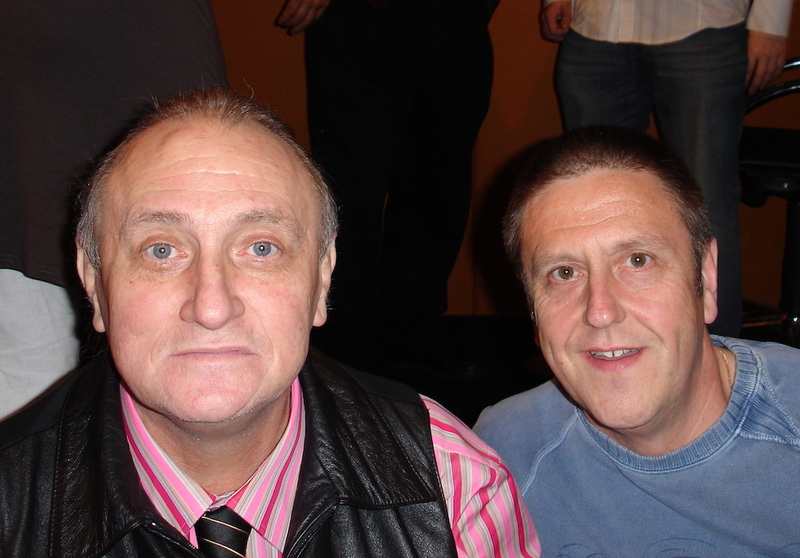 By September 2005 (9 months) I loss 4 stone. 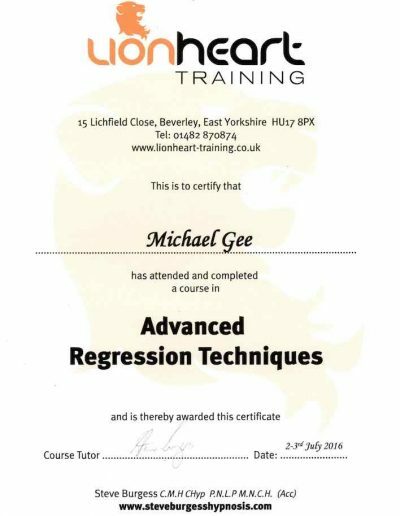 So when I work with clients to help with weight loss I’m able to draw on personal experience of techniques which actually work! 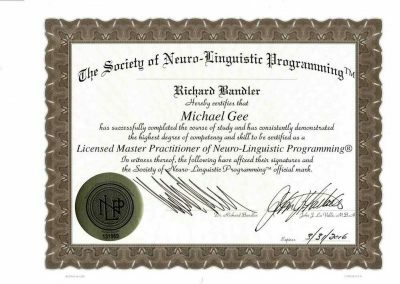 Sept 2005 I attended the NLP practitioner course with Paul McKenna and Richard Bandler the co-creator of NLP and Michael Neill life coach to the stars and Paul’s coach. 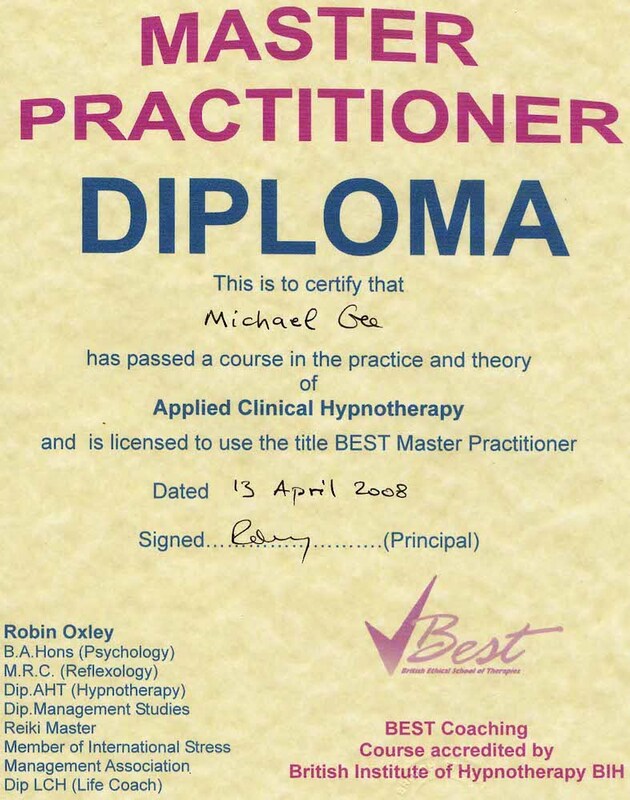 While on the course I told Paul about my weight loss and showed him my “before photo” after qualifying as a NLP practitioner I started assisting on Paul’s weight loss seminars. 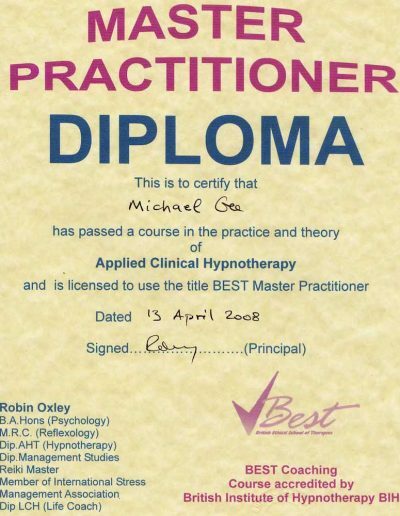 In May 2006 I studied with Paul McKenna, Richard Bandler and John La Valle. 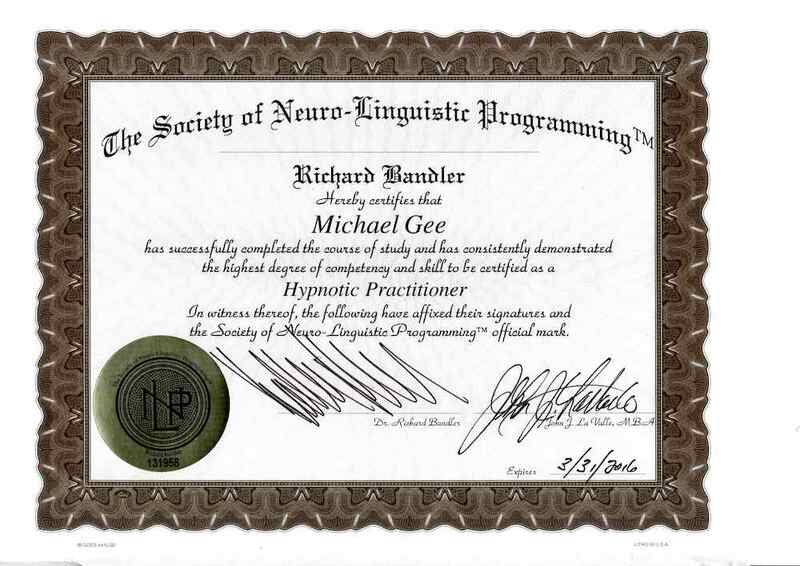 I completed and qualified as a NLP master practitioner and Hypnotic Practitioner. 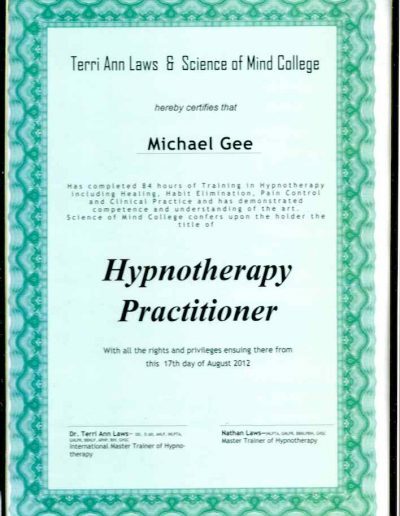 I continued to assist on Paul’s weight loss seminars until 2009. 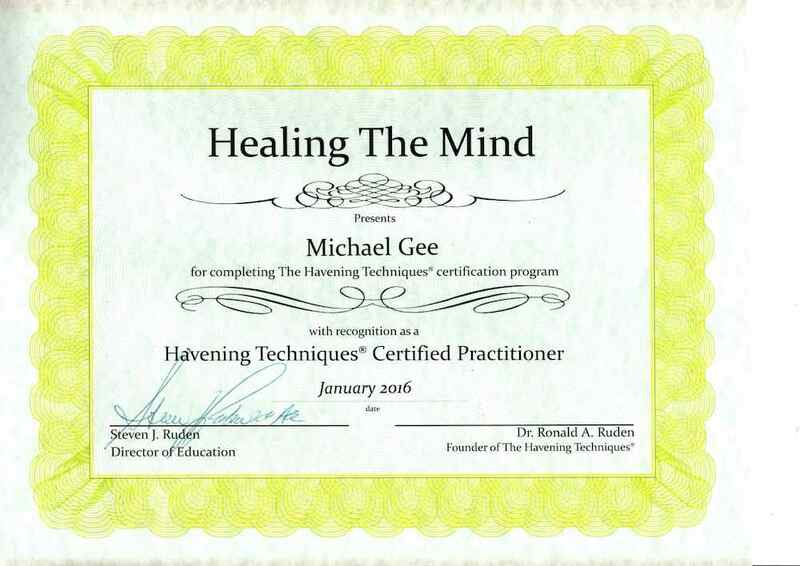 Havening ADT is a scientifically tested and clinically trailed therapy that changes the landscape of the brain delinking emotional content from trauma and traumatic experiences. 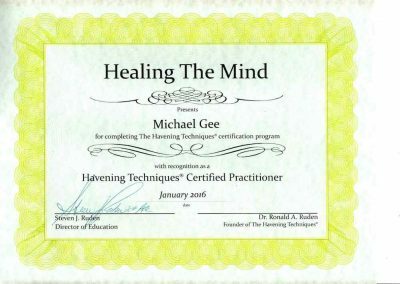 Activities and Societies: Attendee at the world’s first Havening ADT training with Dr Ronald A Ruden, Paul McKenna and Deborah Tom. 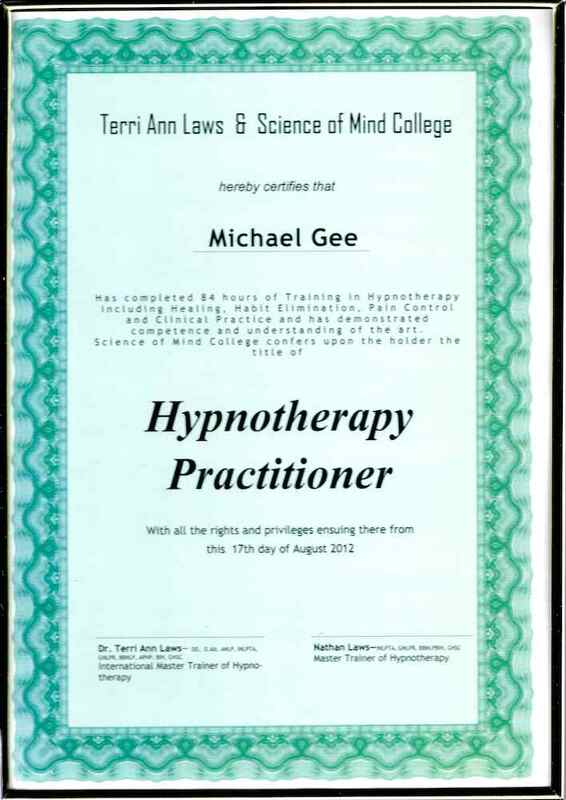 When working with any therapist it is important to know that they have received the training they say they have. 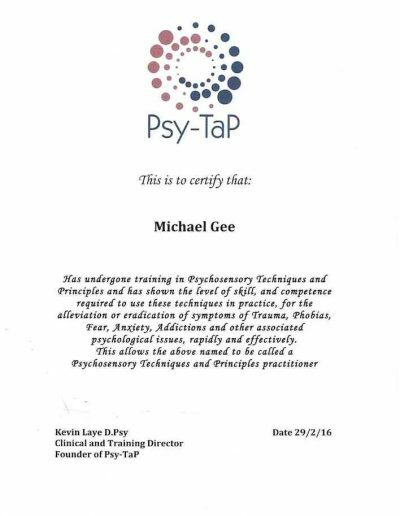 This is why I am happy to display all of my certificates here, so that you know you are working with someone who has the right training. 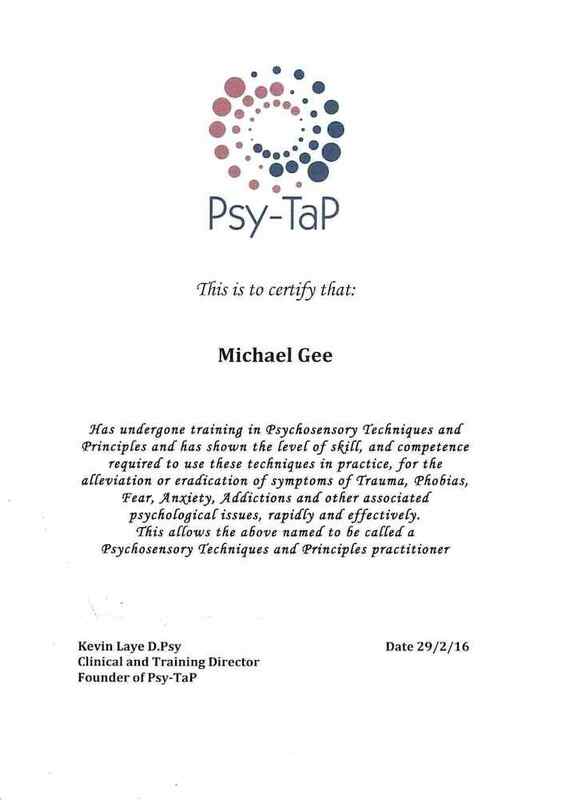 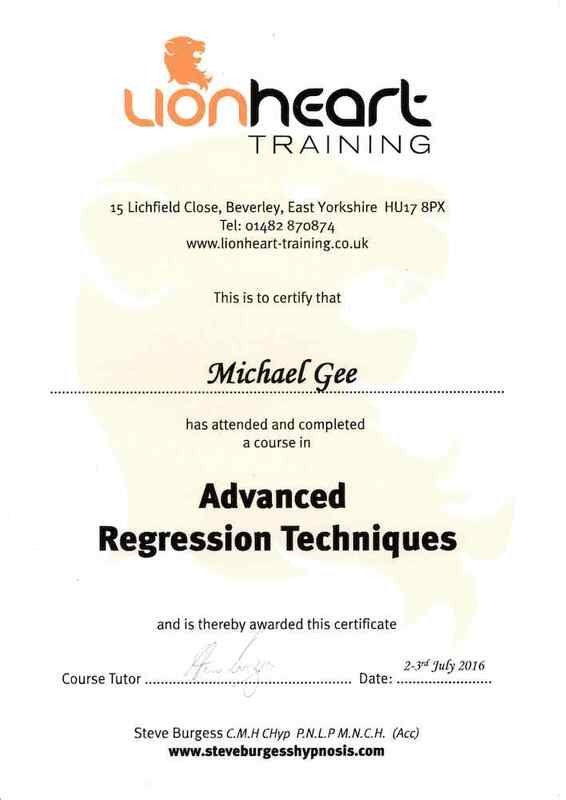 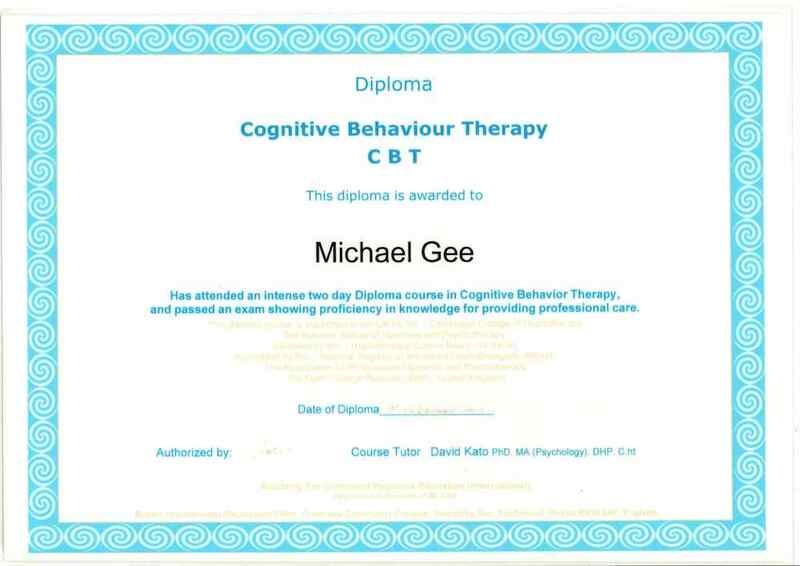 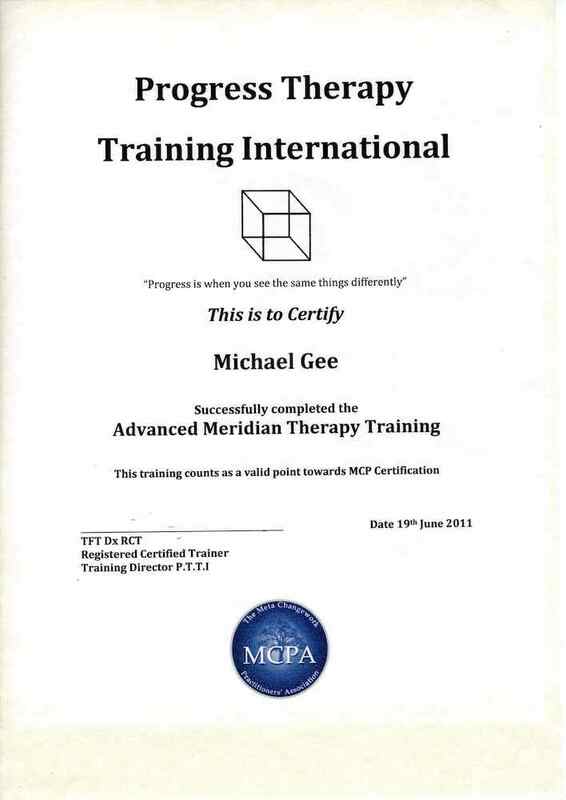 Michael Gee is a Master Practitioner in Neuro Linguistic Programming, Ericksonian Hypnosis, Hypnosis & NLP, Thought field Therapy, Havening depression, Anorexia, solution-focused therapy, life coaching, understanding & stopping addictive behaviours.